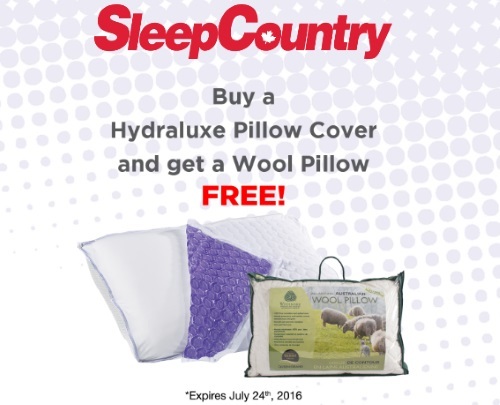 Sleep Country is offering a Free Wool Pillow when you purchase a Hydraluxe Pillow cover! To get this offer, just show the promo code or the email on your mobile device at the store. Offer valid until July 24, 2016. Limited quantities.